In our previous article, we analysed the changes, divisiveness and prospects of the Singapore General Election (GE). Now, we take a look at the scorecard. Today, the nation has spoken, bringing about a massive electoral swing in favour of the ruling party, the People’s Action Party (PAP). Despite the massive crowds at opposition rallies, Singapore’s silent majority continues to trust and support the PAP. The PAP won 83 out of 89 seats, just six seats shy from being the only elected party in Parliament. The Workers’ Party (WP) took the remaining six seats and will be the only elected opposition party in the upcoming Parliament. Three of the best performing candidates among those defeated may also serve as non-constituency Members of Parliament. 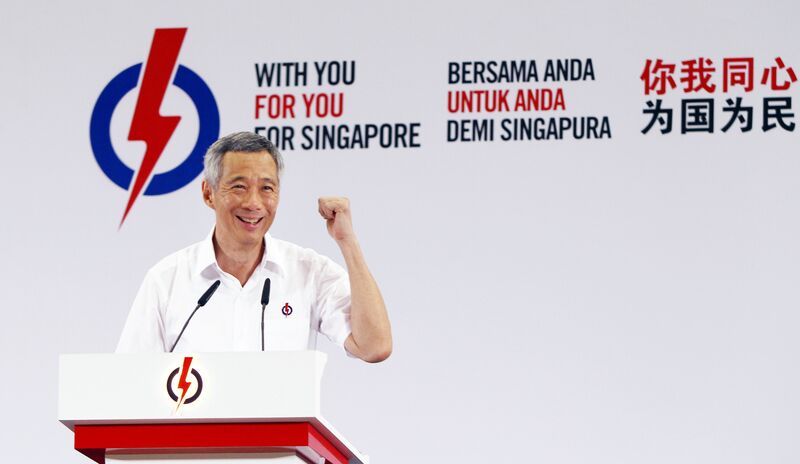 Mr Lee Hsien Loong, leader of the PAP and Prime Minister of Singapore, won 78.6% of the votes in his Group Representation Constituency (GRC), Ang Mo Kio. This was the second-highest percentage of votes won in the election. 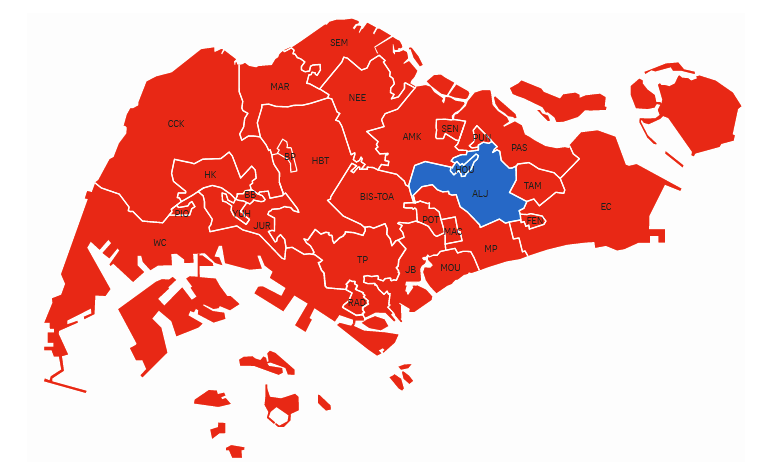 Notably, the PAP team in Tanjong Pagar GRC, which was previously helmed by the late Mr Lee Kuan Yew (LKY), also won a landslide victory over Singaporeans First, garnering 77.7% of the votes. These large victories suggest that Singaporeans remain confident in a post-LKY PAP and firmly support younger PAP leaders like Mr Chan Chun Sing and Mr Tan Chuan-Jin. The Opposition: injured but alive? On the other side, the WP lost its seat in the Punggol East Single Member Constituency (SMC) and narrowly retained its coveted Aljunied GRC (by a margin of 2%). Even in Hougang SMC, a long-time WP stronghold, votes for the WP dropped from 62.1% to 57.7%. All in all, the WP faced a big setback to its ambition to expand its political clout to constituencies in the East. Unsurprisingly, many supporters of the WP were visibly disappointed and shocked. WP candidates, however, remained confident that more constituencies “will be Blue one day” (blue being WP’s political colour). None of the other political parties, including the Singapore People’s Party (SPP) and the Singapore Democratic Party (SDP), came close to defeating the incumbent. The SPP’s showing in Potong Pasir SMC (33.6% of the votes) was the highest among the rest of the Opposition, but it was still a definitive defeat in spite of the popularity of veteran opposition leader, Mr Chiam See Tong, and his wife, Ms Lina Chiam. Surprisingly, even though Dr Chee Soon Juan of the SDP managed to reconnect with the public and gained a large number of followers on social media in his short campaigning period, his team only won 33.4% of the votes. Undoubtedly, the strength of the Opposition has greatly wavered in this election. Mr Kenneth Jeyaretnam, leader of the Reform Party, was particularly displeased with the national swing against the Opposition. According to Mr Jeyaretnam, “all this is a mandate for authoritarianism and brainwashing”. A more measured Dr Chee warned that the current political landscape is “undemocratic”. Similar to GE 2011, in GE 2015, PAP won all but six seats. But this is not status quo per se: PAP’s votes have increased significantly across the board, winning more than 70% of the votes in many constituencies. The last time Singapore saw such a high level of support for the PAP was actually in 2001. Make no mistake about it: Singapore GE 2015 was hard fought. And it was won spectacularly. With such a strong mandate, PAP’s representatives will naturally be more confident about future policymaking and implementation. Thus far, in almost every victory speech, PAP politicians have been using a markedly different tone, one that speaks more of humility than arrogance. 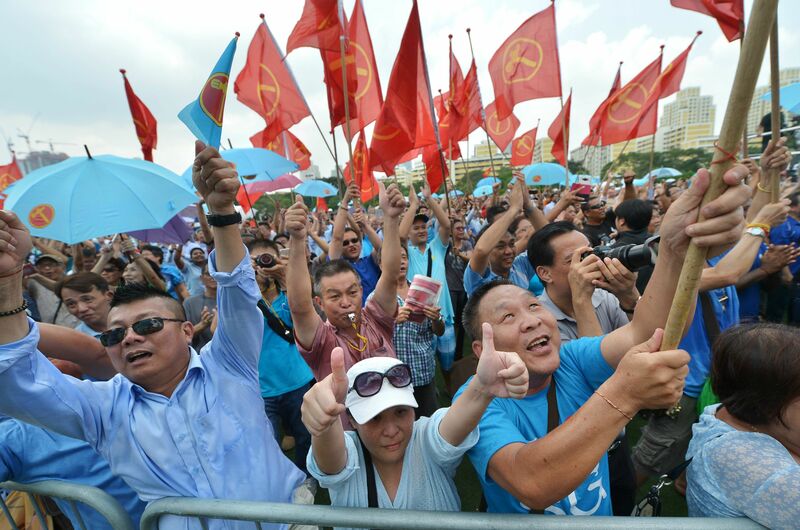 The PAP has promised policy adjustments and improvements, and candidates have been working hard to communicate with the people and understand the ground. Only time will tell whether or not Singaporeans have made the right choice.